Clear Glass Bonbon Sweet Jar with Lid - Decorative vintage, French storage jar in cut glass design with ornate lid. 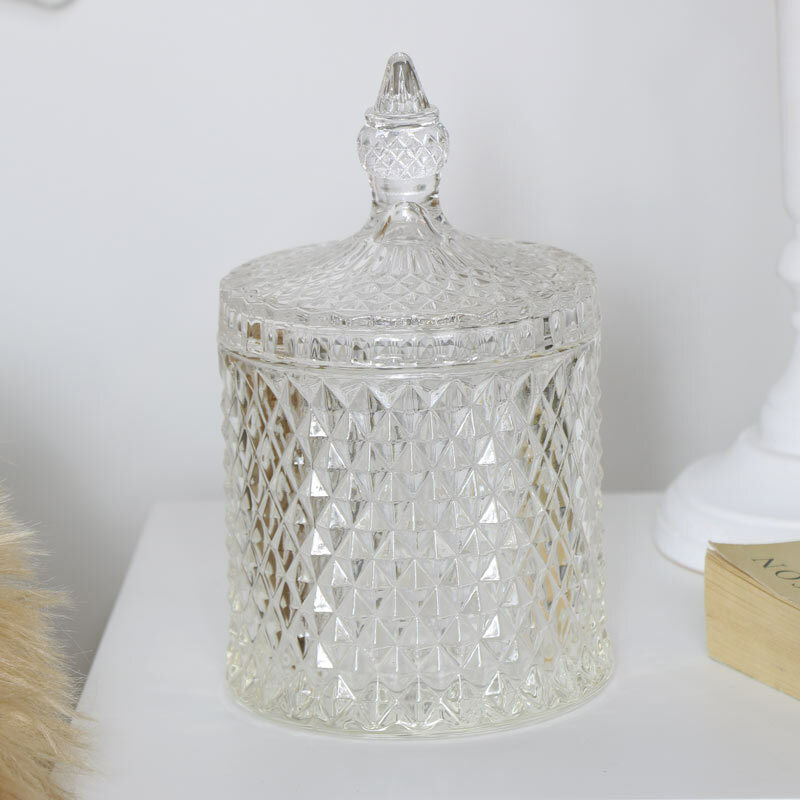 Beautifully clear glass bonbon sweet jar with lid. Perfect for safely storing sweets and tasty treats. Home use or as wedding table decor. Decorative cut glass design. A great gift idea. Clear Glass Bonbon Sweet Jar with Lid - Decorative vintage, French storage jar in cut glass design with ornate lid. Beautifully clear glass bonbon sweet jar with lid. Perfect for safely storing sweets and tasty treats. Home use or as wedding table decor. Decorative cut glass design. A great gift idea. Made from glass with faceted cust glass design on the jar and lid. 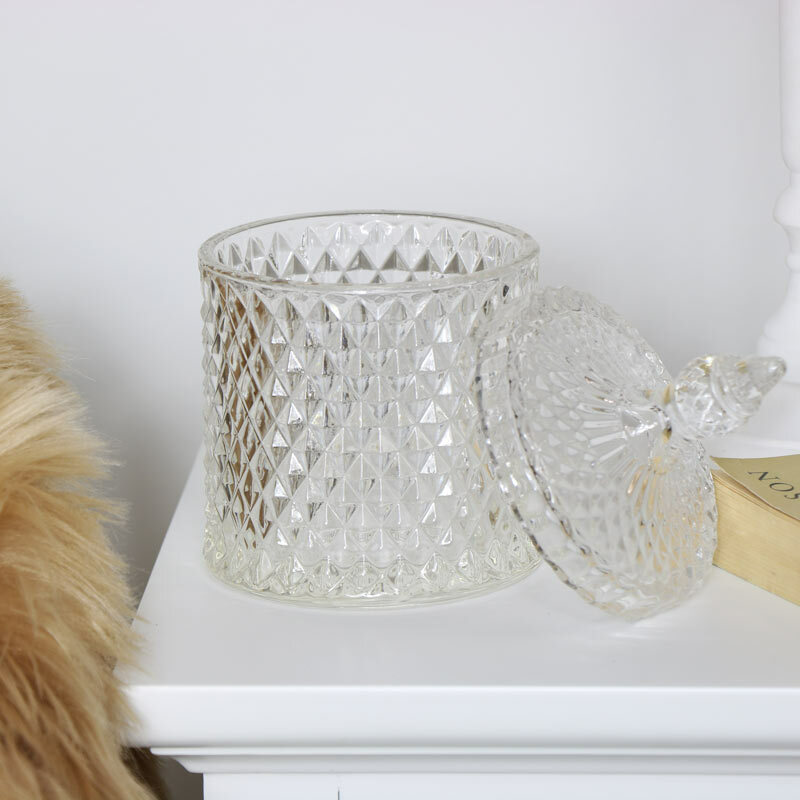 We have the best range of gifts and home accessories with something for everyone.